These presentation slides 42766 are complete compatible with Google Slides. Simple download PPTX and open the template in Google Slides. 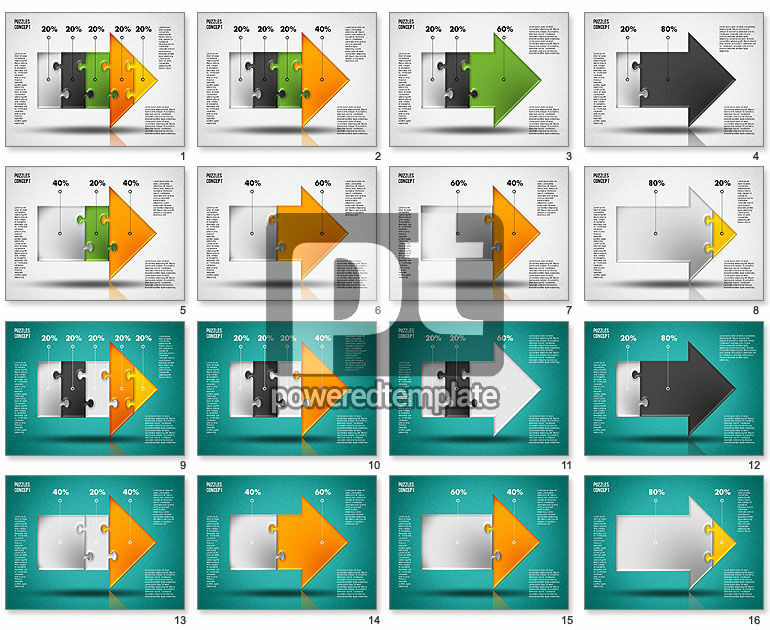 This incredibly nice template surely can be a bright point of your presentation. Made in a style of a puzzled pointer, divided on color sectors which represent different aspects of your unique data. This nice sample is very clear and understandable, cute to visualize and pretty easy to use. Try it, and your audience will really love your brilliant presentation in any kind of business spheres.